With the Tax Day deadline just a week away, you can’t escape the buzz of people either celebrating or lamenting their tax returns. It seems you’re either a big winner or a big loser—there is no in-between. This year feels extraordinarily buzzworthy, as businesses and individuals anticipate the impact of some significant tax code changes. One such tax reform is to business expenses thanks to the Tax Cuts & Jobs Act (TCJA) that went into effect last year. In case you missed it, the TCJA overhauled the ability to deduct certain business expenses generated by the employer and the employee. The new tax law slashed the deductions businesses could claim for meals and entertainment. Under the old tax law, employers could deduct 50% of the cost of entertainment-related meals and 50% of the face value of a ticket to a sporting event, for example. Now, the cost of the entertainment alone is no longer deductible. Boxes at stadiums and arenas, if owned with the intention to entertain clients, are not deductible under the new tax law. The golf foursome to close a major deal, also not deductible. Those Garth Brooks tickets to schmooze your client are not eligible for a tax break. But the meal you have together at a restaurant prior to the concert could be. Similarly, if you buy a couple hot dogs and peanuts when attending a Major League Baseball game with a client, you may be able to deduct the 50% of the cost of the meal if you pay for it separately from the event tickets. Some things remain the same in the tax code. Businesses still cannot deduct membership dues to certain types of clubs for employees: entertainment activities or facilities; recreation or sport, including golf clubs, country clubs, health and fitness clubs; airline or hotel clubs (like the airline clubs at airports); any club with a social purpose. You also can't deduct the cost of a country club, for example, arguing that it would be conducive to business discussions. Whether a business can deduct a given expense depends largely on whether that cost is “ordinary and necessary” in its business. An expense that is “ordinary” is one that’s common in the taxpayer’s line of business. It’s “necessary” if it’s appropriate and helpful to the business. Now, let’s say you were an employee who submitted for reimbursement for one of the entertainment and meal expenses above, and your employer denied them. Or, perhaps you’re just accustomed to spending money on behalf of your employer without getting reimbursement and then deducting the amounts on your taxes. In years prior, you could deduct unreimbursed employee expenses as a miscellaneous itemized deduction, as long as the expenses were ordinary and necessary to the business you’re in and if they exceeded 2% of your AGI. But not anymore—under the TCJA, these tax breaks are eliminated. This includes job-related expenses such as travel and mileage costs, meals and entertainment, tools and supplies, required uniforms, dues and subscriptions, and job search expenses. When the TCJA changes were announced, speculation was that the new law would drive increases in employee expense submissions. Businesses expected employees to become more diligent about submitting their expense reports for reimbursement, knowing that they can no longer deduct unreimbursed employee expenses on their individual taxes. But we’ve not seen any noticeable increases in 2018. Employees simply didn’t plan for it or didn’t get the expenses reimbursed. However, we think this shift is still coming. As employees file their 2018 taxes, they will untangle the full impact of the tax reform. Some may face unwelcome surprises—particularly those who were accustomed to claiming unreimbursed employee expenses—in form of a lower refund than they’re used to or a surprise tax bill. 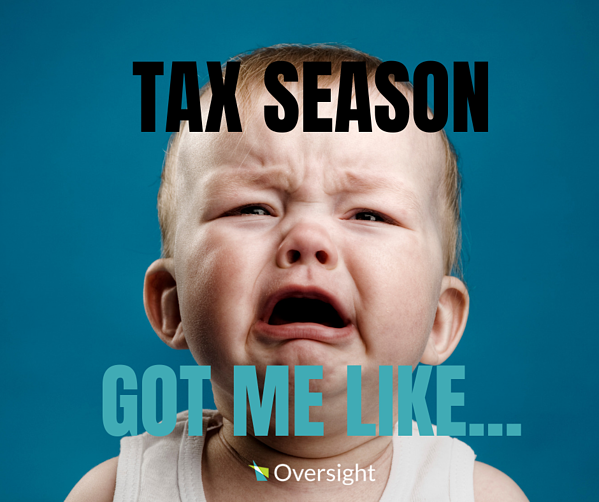 As the 2019 tax season takes off, we believe it will be a different story. With one year of tax filings subject to the new rules under their belts, taxpayers will know better in 2019. Moving forward, they will be more attentive to policy and submitting their expense reports for reimbursement throughout the year. Fortunately, Oversight’s platform can help employers find and make sense of the expenses that your business can no longer claim, and help to train employees to follow policy. While employees are not keen on reading the policy, they do learn when they’re reminded about a specific item that may be out of policy. Oversight identifies these items and uses built-in workflow to send a targeted message to the employee so he or she can make a better decision next time. Oversight can then measure change in behavior. The tax team also benefits from Oversight. With the tax reforms, we’ve seen a tighter integration this year between our typical users at customer sites and their tax teams. Tax teams are regularly leveraging Oversight’s reporting features to gain a better understanding of expenses and ensure they are handled properly for business tax deductions. As the saying goes, there’s nothing certain but death and taxes. We can at least make the latter easier by giving you visibility into your employee-initiated spend across your enterprise. Talk to Oversight about a demo today.